My plant seems to lot the "shape". Lots of soft branches. 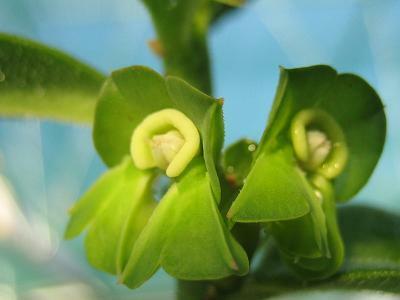 This member of the Euphorbiaceae family was described by Nicholas Edward Brown in 1911. It is found in south-western Tanzania, Malawi and Zambia, growing in a well drained soil with some water and some sun. 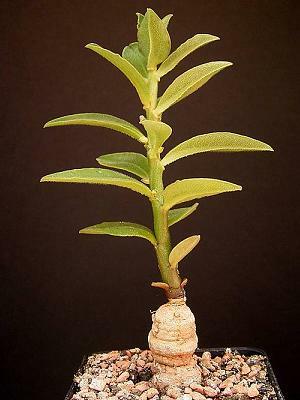 The caudex can grow to three centimetres in diameter, the whole plant up to 30 or even 60 centimetres height. The flowers are green. 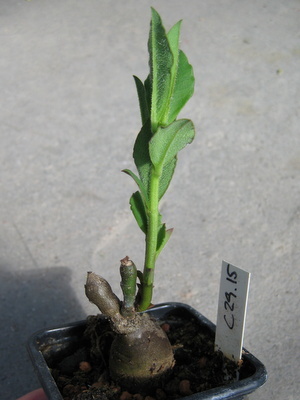 The caudex develops quite fast.